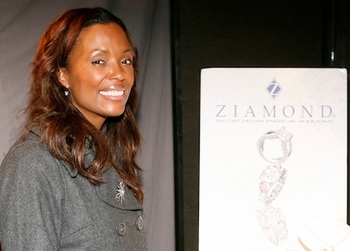 Ziamond Cubic Zirconia Jewelers welcomed actress Aisha Tyler. Ziamond cubic zirconia cz jewelry is offered in a variety of styles and designs that are popular today. In addition, we offer custom design services, to have any item you desire. All Ziamond cubic zirconia cz jewelry is set in 14k gold, 18k gold or platinum mountings.